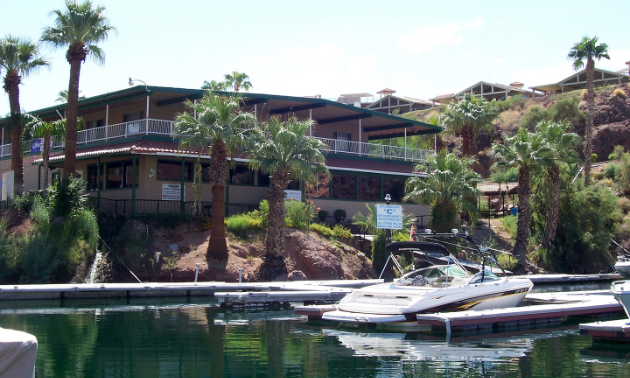 The Springs Dining at Havasu Springs Resort has some of the most breathtaking views of lower Lake Havasu. It’s a fun and friendly atmosphere. They have specialty drinks and their steaks are just delicious. The Springs Dining’s most popular dish is the Friday Fish Fry. Patrons have their choice of delicious cod three-ways: cajun blackened, regular fried or grilled. Sundance Saloon is a large saloon with ’70s and ’80s nostalgia from the Parker Strip. This Saloon hosts concerts almost every weekend. It has four large bars and a floating dock bar. You can drive your boat up, dock it and have a wonderful bite to eat while watching other boaters, water skiers, wake boarders and floaters. Sundance Saloon serves delicious American food with daily specials. They carry their own brew. It’s a delicious cream ale. Their carne asada fries are a treat. Fox’s Floating Dock Bar & Grill is the oldest eating and drinking establishment on the Parker Strip and is recently remodeled with a new bar and dock. Patrons can be a part of history and add their dollar bill to the dock. The restaurant serves some of the best biscuits and gravy—ever. They offer a full menu with daily specials. This is a local favourite, especially for Sunday Funday. Their Bloody Mary’s are some of the best. Roadrunner Floating Dock Bar & Grill is a famous floating dock bar and grill on the Parker Strip. Order your food right on the dock, and enjoy a specialty drink. Their food is just delicious, especially Taco Tuesday. Drive your boat up to the dock and a friendly Roadrunner employee will help you dock your boat. The atmosphere is casual and makes your vacation well worth the visit. The Black Pearl Restaurant, located inside Pirates Den RV Resort, is also waterfront dining. You feel like you’re sitting on the Pirates of the Caribbean ride. This restaurant serves up delicious seafood and steaks that don’t disappoint. 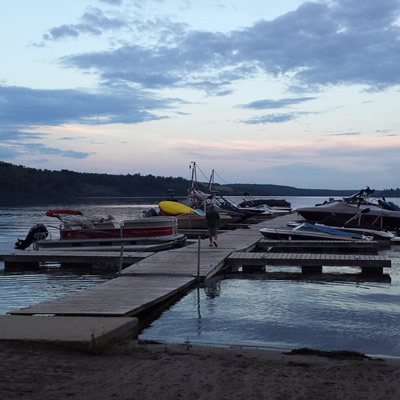 For an exciting or relaxing holiday in central Alberta, stay at the Pine Lake Leisure resort.